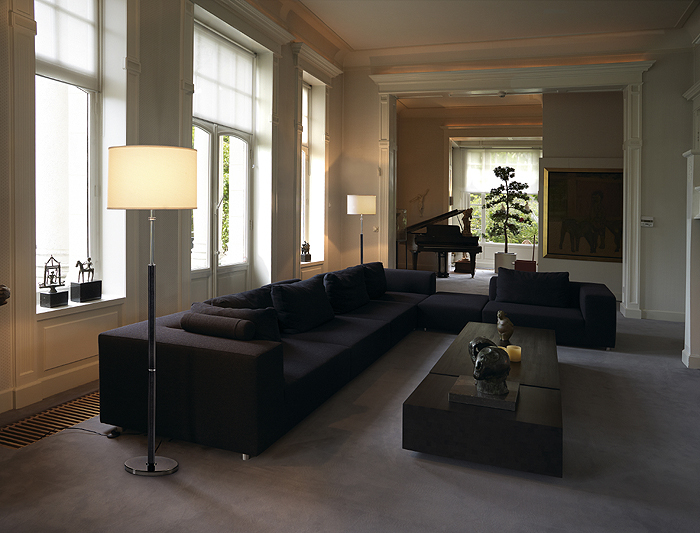 High-quality leather, in conjunction with steel elements for ensures a wide scope of applications of the SOPRANA floor lamp. 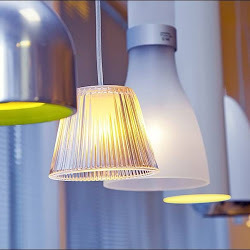 The large lampshade on textile and polystyrene basis guarantees homogeneous illumination of the standard E27 high-voltage bulb. 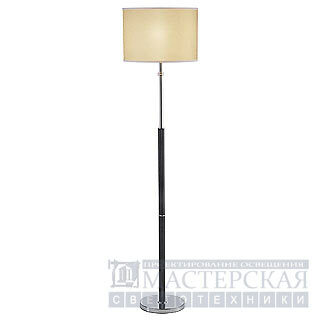 The SOPRANA floor lamp comes with connection lead with integrated foot switch and is ready for direct connection to 230V mains supply.